Any DIYer from around the world will know the name ‘Makita’. After all, the brand is responsible for over 100 different power tools on the market aimed at making the lives of thousands of people so much easier. Makita Corporation was founded in 1915, initially as an electric motor sales and repair company. In 1958 they released their first power tool, and by 2015 they had released their 100th. They are now an innovative leader with 10 plants in eight countries, and products being sold in over 40 countries. It’s a tried and trusted brand, and one that continues to rate highly in online reviews and our buying guides. 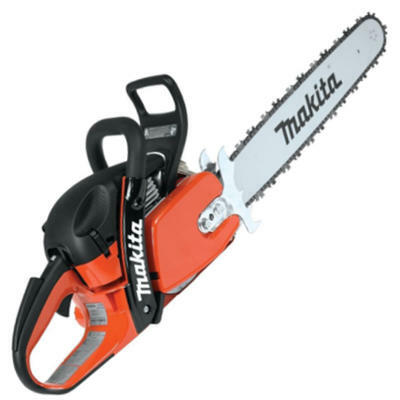 There are currently over 20 chainsaw models on the market manufactured by Makita. From electric powered to gas powered there’s certainly a chainsaw for everyone. Makita chainsaws can be found for sale throughout the world, you need only look in any leading hardware store, or online, to find one. Not only are Makita chainsaws reliable and affordable, but they also boast innovative technology and meet a variety of homeowners’ and professionals’ needs. From the basic domestic cutting saw, through to a commercial grade saw; you are spoilt for choice on the chainsaw market. The low price tag most certainly doesn’t reflect the quality as can happen with some brands. It makes very little noise. The charger and batteries don’t come with the chainsaw. You can’t take it away from power sources in case you run out of batteries. Dimensions: 11 x 10 x 12 inches. QDoes it come with the batteries? QHow many batteries does it take? QWhat voltage are the batteries? A18 volt each to make 36 volts in total. 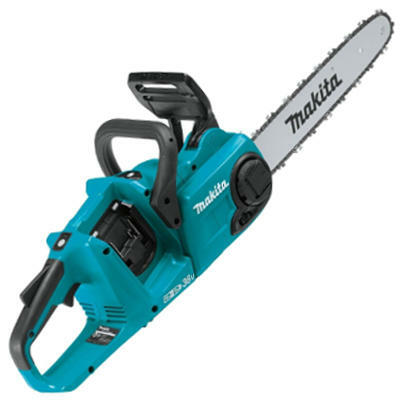 Reviews for this 12 inch battery powered chainsaw by manufacturer Makita have been excellent. It’s an impressive saw with exceptional power on offer. Although not aimed at professionals, professionals are using it and haven’t looked back. It’s easy to use, requires no maintenance, and doesn’t falter on a job. The only downside is that you have to purchase the batteries and charger separately. What could have been a very affordable chainsaw now has a larger price tag due to not offering everything needed to operate it in one package. Check out what other people who purchased this product think about it. 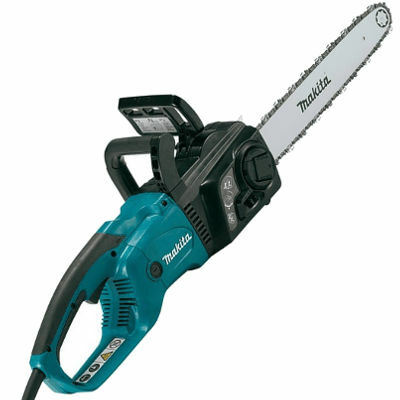 Read Makita XCU02Z cordless electric chainsaw reviews. It cuts through wood fast. It only comes with a 12 month warranty. Some of the parts aren’t well put together on some chainsaws. Dimensions: 10.5 x 24.2 x 10 inches. QWhat gauge wire do you use for the extension cord? AUS Wire 12/3 ,100 ft. extension cord. QDoes it come with chain oil? Without a doubt, this Makita corded electric chainsaw is the best Makita chainsaw for the money. Powerful, reliable, quick to start and easy to maintain; it has all the attributes of a good saw. What is more, it doesn’t require fuel, mixing oils or any maintenance. Simply fill the chain lube reservoir up, plug it in and get cutting! This saw is also very affordable, and the price tag simply doesn’t reflect the value consumers are getting from their Makita chainsaws. The 2,900 FPM chain speed makes for efficient cutting. It has a built in current meter to protect the motor from burning out. It only has a 12 month warranty. The instruction manual isn’t as detailed as it could be. Makita corded electric powered chainsaw. QWhat is the amp rating? QWhat extension cord should be used with it? A100 foot, 16 gauge extension cord. For domestic cutting and even slightly larger jobs, this 14 inch corded electric powered Makita chainsaw is a winner. Top rated on the market and easily one of the best deals on offer, it’s packed full of features to impress any homeowner. It doesn’t cost much to run, it’s priced competitively on the market, and in comparison to other saws of similar specs, it’s one of the best. It’s also very powerful, has great safety features and is very reliable. Check out what other people who purchased this product think about it. Read Makita UC3551A corded electric chainsaw reviews. The motor delivers 980 FPM for faster and better cutting. There’s no need for cords. It doesn’t come with the battery for operation. It’s limited in application due to its battery life. Makita cordless electric powered chainsaw. 4 and a half inch bar and chain. Bar Length: 4 ½ inches. Power Source: Cordless battery powered. QDoes the battery and charger come with it? Although not suited for professionals, large jobs or those in need of a commercial grade saw, this Makita saw meets the needs of homeowners in terms of power and cost. It has exceptional battery life, can trim most trees around the home, and is very easy to maintain as well. It produces zero emissions and just needs a clean and a sharpen from time to time to keep it working at its best. Check out what other people who purchased this product think about it. 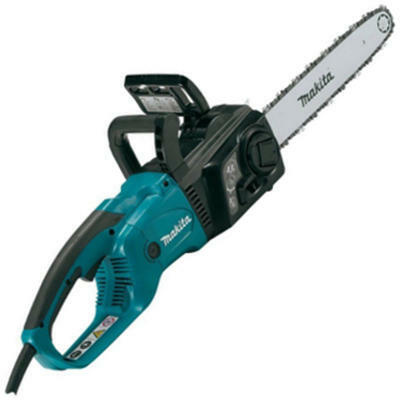 Read Makita XCU01Z cordless electric chainsaw reviews. It has fast acceleration and excellent cutting performance. It can take on heavy workloads. It only has a 1 year warranty. It requires quite a lot of maintenance. It’s not suitable for those who are not knowledgeable on chainsaws. 20 inch bar and chain. QWhat is the engine output? QHow many RPMs does it produce? QWho is it best suited for? AA professional, or those who require a commercial grade saw. This 20 inch petrol powered chainsaw is easily one of the best Makita chainsaws for the money. It’s powerful, has top rated speed and power for cutting through tough logs, and it will easily impress any homeowner or professional. It also has reduced emissions, a heavy duty air filter, and all the safety specs to ensure you get the job done safely at no cost to your health. It’s also very affordable in comparison to gas powered saws with similar specs. Check out what other people who purchased this product think about it. Read Makita EA6100P53G gas chainsaw reviews. It’s a high quality commercial grade saw. Professionals will find it very effective and powerful. It has an automatic chain oiler. It has a view window in the oil reservoir to check levels. It has a tool-less blade for maintenance convenience. It requires minimal maintenance due to being electric. It has a limited market due to being for professionals. It’s limited in its reach by the electric cord. There are problems with the automatic oiler. Dimensions: 9.4 x 3.5 x 10.5 inches. Weight: 13.9 pounds dry weight. QDoes it require an extension cord? AYes, the cord is very short. QTop handle or rear handle? If you thought electric chainsaws were limited to the homeowner, you would be wrong. This Makita electric powered chainsaw proves it has the might and the power to be a commercial grade saw. The only catch is needing to be near a power source, but that’s what generators are for! It packs a punch in terms of power, and it’s also very affordable. It’s top rated on the market for both homeowners and professionals, and reviews for this saw have been excellent. The only downfall is the 1 year warranty. You would generally expect something a little longer. Check out what other people who purchased this product think about it. Read Makita UC4030A corded electric chainsaw reviews. It houses two batteries which give increased cutting time. The batteries and charger aren’t included in the purchase price. The body of the saw doesn’t feel strong enough. Some users note they overheat. Dimensions: 10.6 x 21.2 x 8.9 inches. QWhat batteries does it take? ATwo 18V LXT® Lithium-Ion batteries. QDo the batteries and charger come with the chainsaw? ANo. You must purchase separately. QWhat is the maximum chain speed? 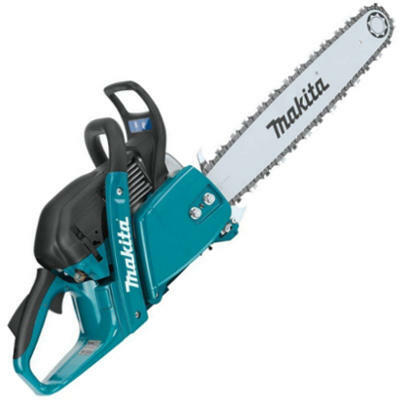 The 14 inch electric powered Makita chainsaw is one that will suit any homeowner down to a tee. It’s durable, hardy, is very powerful and can cut for much longer than a standard battery powered saw due to its two batteries. The only negative about this saw is the cost of the batteries and charger. They need to be purchased separately. This turns a once affordable saw into one with a larger price tag that may not be as affordable. Check out what other people who purchased this product think about it. 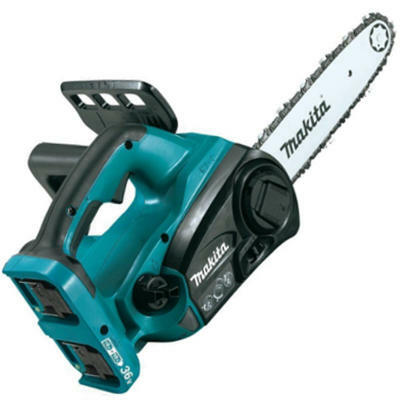 Read Makita XCU03Z cordless electric chainsaw reviews. It’s exceptionally lightweight at just 11.9 pounds. It’s a compact design to make it easier to handle and use. It’s powerful to do a range of cutting tasks. It only has a one year warranty. It’s not suitable for those who can’t handle the power or maintenance of a larger saw. QHow big is the engine? QHow much fuel can it hold? For those who require a chainsaw which can undertake smaller and larger jobs, this 20 inch gas powered saw fits the bill. Online reviews have been singing this chainsaw’s praises, and it’s easy to see why. It’s powerful, it’s reliable, it’s affordable and hardy. It’s easily one of the best Makita chainsaws for the money. Check out what other people who purchased this product think about it. Read Makita EA5000PRGG gas chainsaw reviews. With over 100 power tools on the market, you would think Makita is busy enough! However, they have still found time to produce a pair of chaps to make sure you’re safe when operating your chainsaw. Makita chaps enable you to become more visible when outdoors, as well as protecting you from accidentally cutting into your legs. The ballistic fibers within the chap material separate when hit by a saw. The fibers then fly out and the aim is for them to block the chain which stops the engine. Let’s hope you never have to find out how they work! If you are looking specifically for Makita chaps, check out this comprehensive guide about available Makita chainsaw chaps. However, if you’re looking for chaps in general regardless of the brand, you would love to read this full buying guide on how to select the best chainsaw chaps for the money including reviews & comparison. When you’re wiping grime and grease from parts of your chainsaw, or you’re stacking logs that are dripping with sap, you need something that will ensure your hands remain clean! After all, it can be difficult to remove sap, grease and oils embedded in your pores. It’s time to invest in Makita chainsaw gloves. Makita has released Makforce light gloves, aimed at giving you extra comfort and protection. They still enable you to have use and flexibility of all your fingers, yet they prevent any ordinary cuts and grazes as well as grease and grime getting into your skin. If you are looking specifically for Makita gloves, check out this comprehensive guide about available Makita chainsaw gloves. However, if you’re looking for gloves in general regardless of the brand, you would love to read this full buying guide on how to select the best chainsaw gloves for the money including reviews & comparison. If you are looking specifically for Makita boots, check out this comprehensive guide about available Makita chainsaw boots. However, if you’re looking for boots in general regardless of the brand, you would love to read this full buying guide on how to select the best chainsaw boots for the money including reviews & comparison. With great power comes the requirement for a great chainsaw bar! When you purchase a Makita chainsaw, you will at some point require a new chainsaw bar. For some, it may seem like a stressful occasion trying to find one that fits, is of the best quality and will do the job. But with Makita, you can rest assured every single item you purchase is built to the highest of standards. This extends to their extensive range of bars as well. You can purchase new chainsaw bars online, through websites such as Amazon, or from a reputable dealer of Makita products. Their chainsaw bar product line extends from 10 inch bars, all the way through to 28 inch bars. They have you covered! If you are looking specifically for Makita bar, check out this comprehensive guide about available Makita chainsaw bars. However, if you’re looking for a bar in general regardless of the brand, you would love to read this full buying guide on how to select the best chainsaw bar for the money including reviews & comparison. There are many ways to get the most out of your chainsaw chain. You first need to ensure it’s properly maintained. This includes clearing debris (safely), ensuring the chain is properly lubricated, and sharpening it on a regular basis. However, once the teeth of the chain are below 4mm, it’s time to get a new one. Don’t mess around with substandard products. Get it right the first time by opting for a Makita chain. Solid, sturdy and built to last, you will be impressed by the build quality. They are also readily available online and through reputable Makita dealers. They are cost effective and suit many Makita models. If you are looking specifically for Makita chain, check out this comprehensive guide about available Makita chainsaw chains. However, if you’re looking for a chain in general regardless of the brand, you would love to read this full buying guide on how to select the best chainsaw chain for the money including reviews & comparison. Quality Makita chainsaws should always be matched up with Makita fluids as well. From 2-stroke oil through to chain lube; there’s no better way to ensure your machine will last the distance than by using branded maintenance products. Whenever you purchase a Makita chainsaw – either online or in a store – you will find all essential fluids nearby. You can also get the best deal online where ‘package deals’ are offered at a reduced rate. They generally include those essential products such as chain lube and oil, as well as a piece of safety equipment such as a helmet. If you are looking specifically for Makita oil, check out this comprehensive guide about available Makita chainsaw oil. However, if you’re looking for an oil in general regardless of the brand, you would love to read this full buying guide on how to select the best chainsaw oil for the money including reviews & comparison. Where are Makita chainsaws made? In factories in Brazil, Canada, China, Japan, Mexico, Romania, UK, US and Germany. However, its head office is based in Japan. 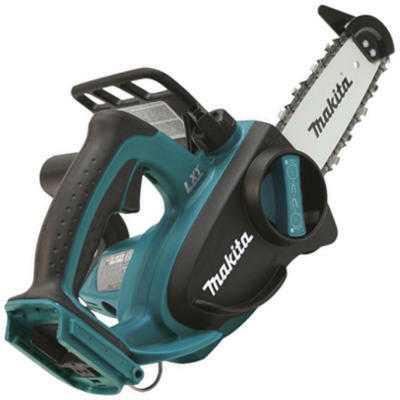 Where do you buy Makita chainsaws? 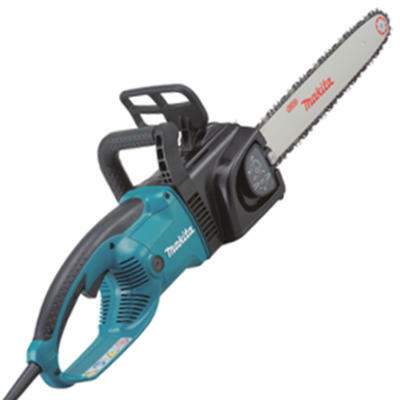 You can buy Makita chainsaws online on websites such as Amazon, and from many hardware stores around the world.